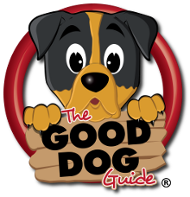 For any questions you may have including advertising on The Good Dog Guide website please complete the form below and a member of the team will reply to your message asap! If you would like to talk to a member of the team please telephone 01903 250068 leaving a voice mail message including your name and telephone number and we will return your call asap! By completing the form below or using the number above you will be contacting The Good Dog Guide direct, NOT one of the listed businesses shown on our website.